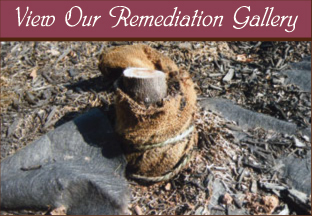 What is Plant Remediation & Soil Amending? Plant Remediation is the process of restoring trees and plants to a healthy state, removing contaminants and creating an optimal environment for your plantscaping. Soil is a living, breathing ecosystem that contains life and provides mechanical support for trees, shrubs and flowers. Soil Amending is the process of testing and restoring soil to its proper state so your trees, plants and flowers can thrive. When you build a house, you first need to build a solid, sturdy foundation. Likewise, strong, healthy soil is the foundation for your garden. Planting anything in unhealthy soil will only cause problems in the future. 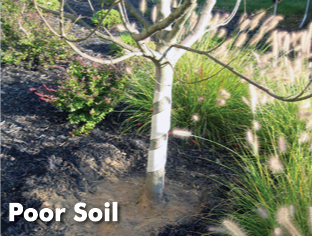 At Final Touch Plantscaping, we always recommend testing your soil before installing any landscaping project. It is a low-cost way to ensure everything on your property will be safe and healthy. Why Should I Be Concerned About Tree Health? Falling trees or breaking limbs can cause property damage, power outages and injuries potentially costing you thousands of dollars. Unhealthy trees, shrubs and plants are also unsightly and can cause damage to the surrounding property. We can help you protect your family and keep your home looking beautiful. Contact us for a comprehensive site assessment. What Are The Warning Signs of Unhealthy Trees? 1. 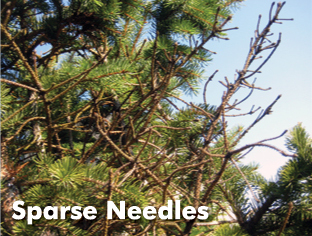 Many trees and shrubs are already diseased at the time of purchase. You can’t always tell if a tree is healthy just by looking at it. 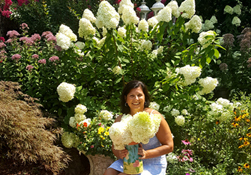 Buy trees, shrubs and flowers from a licensed NJ Department of Agriculture Plant Distributor to be sure that they are disease and pest free. Many landscapers fail to properly remove synthetic material such as burlap sacks, ropes, or landscape fabric. This suffocates the tree and eventually leads to death. Another common problem is planting the tree to deep. If the trunk is buried, the tree will not thrive. 3. Foreign objects remain on or around the tree. Many landscapers fail to properly remove synthetic material such as burlap sacks, ropes, or landscape fabric before they plant the tree. This suffocates the roots and eventually leads to death. Another common problem is leaving tags, ribbons, or plastic around the trunk. This weakens the tree and can lead to damage or death. Piling mulch high against a tree trunk is common practice, but it is expensive and slowly kills the tree. The roots do not get enough oxygen and they suffocate. 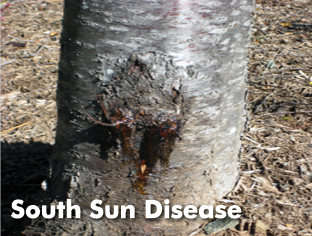 In addition, moisture from overmulching can cause disease or inner bark death. Symptoms may take 3-5 years to appear. By that time, the tree might not be salvagable. Every tree is different, but as a rule-of-thumb, keep the mulch less than 4 inches deep and a minimum of 3 – 6 inches away from the trunks of young trees and shrubs and 8 – 12 inches away from mature tree trunks. Final Touch Plantscaping offers on-site inspection and assesment of your property. We work with the homeowner or business to identify issues with plants, trees and shrubs. Whether you have concerns about a small space or your entire property, we will scout the area and come up with an action plan for improvements and remediation.